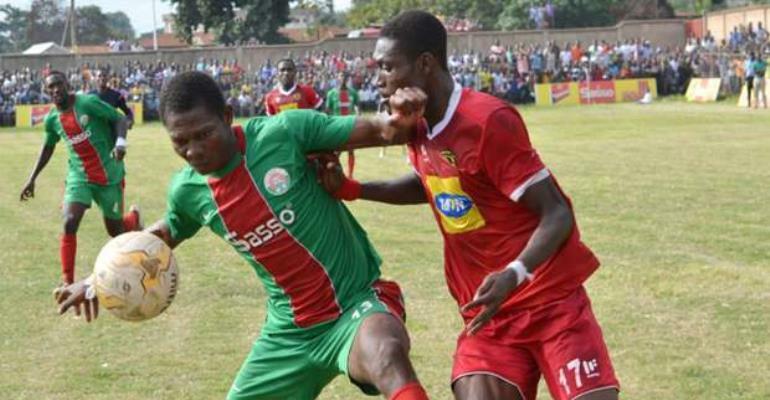 Match Day-3 of the Ghana Football Association (GFA) Normalization Committee (NC) Special Competition comes off this weekend with struggling Techiman Eleven Wonders expected to host injury burdened Kumasi Asante Kotoko SC. The match promises to be a cagey encounter owing to the fact that the two sides have some problems they need to quickly find solutions to. For the Porcupine Warriors, the injury situation at the club as scaring as it continues to give head coach CK Akonnor some migraine. The team continues to miss the services of about 6 first team players including the likes of Kwame Bonsu, Ismael Ganiu, Maxwell Baako as well as danger man Sogne Yacouba. Even though Premier League giants have depth in their squad, the absence of these players in their last two games have had a telling effect on the team’s performance. Eleven Wonders, on the other hand, cannot find their rhythm in the Special Competition as they continue their search for their first win in the competition. In their first two attempts, they fell short to Ashanti Gold and Aduana Stars. They are therefore tipped to enter the cracking fixture against Kotoko as wounded lions. Whiles, they look inferior to Kotoko on paper, they will also want to take advantage of their opponent woes in an attempt to bag their first 3 points of the competition. Ahead of the match, Kotoko sits 2nd with 3 points on the Zone B table with Techiman Eleven Wonders coming in on 5th position with no point to their name. The match will be played on Sunday, April 7, 2019, at the Nkoranza Park. Kickoff time is at 3:00pm.